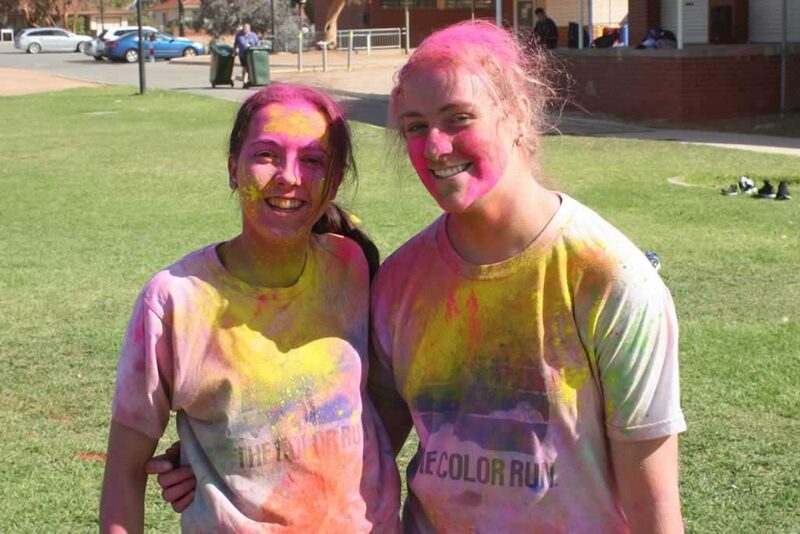 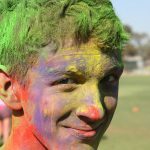 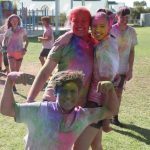 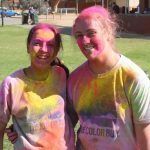 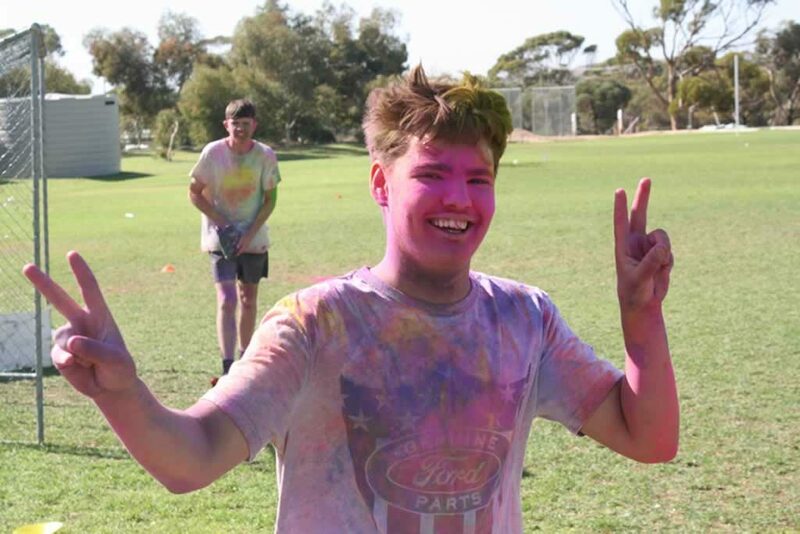 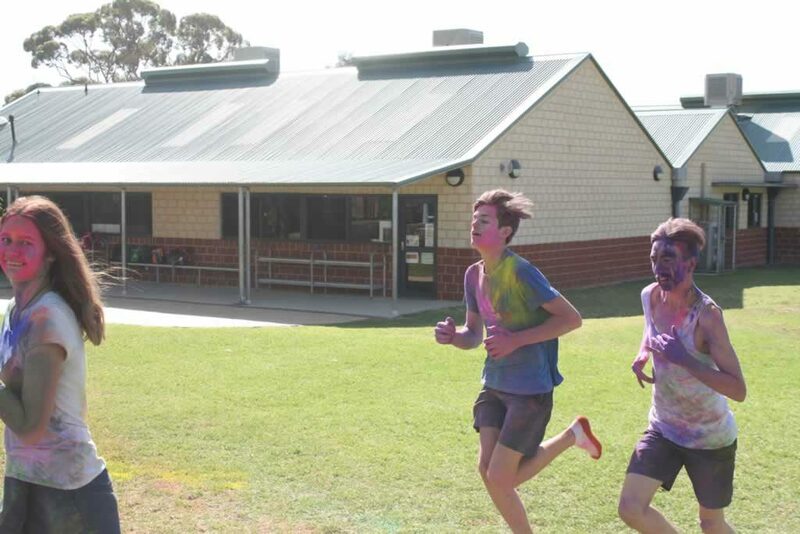 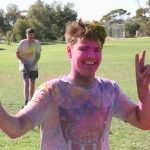 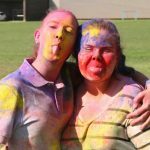 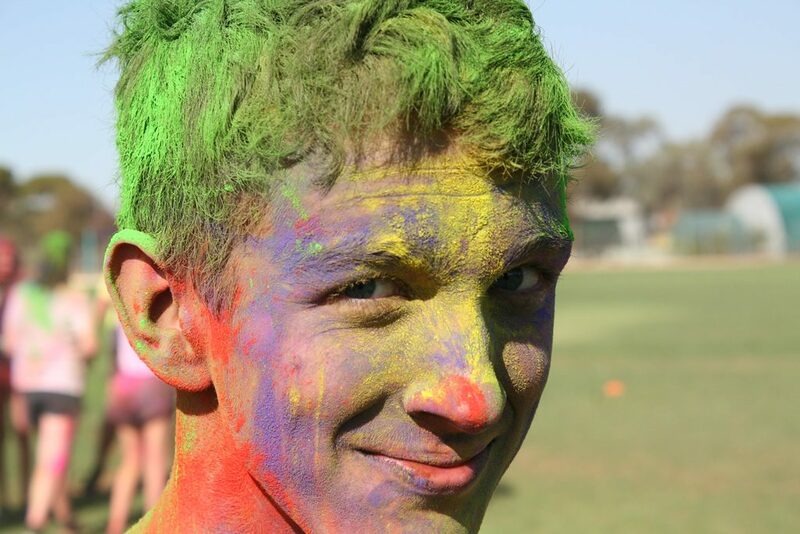 As part of the school’s focus on promoting positive behaviours, the Year 10 students who have maintained their good standing in Term 1 were invited to participate in a Colour Run last Friday afternoon. 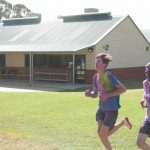 The event started with teams from each of the houses battling it out in games of dodgeball with the winner scoring points for their house, a head start for the Colour Run, and bragging rights. 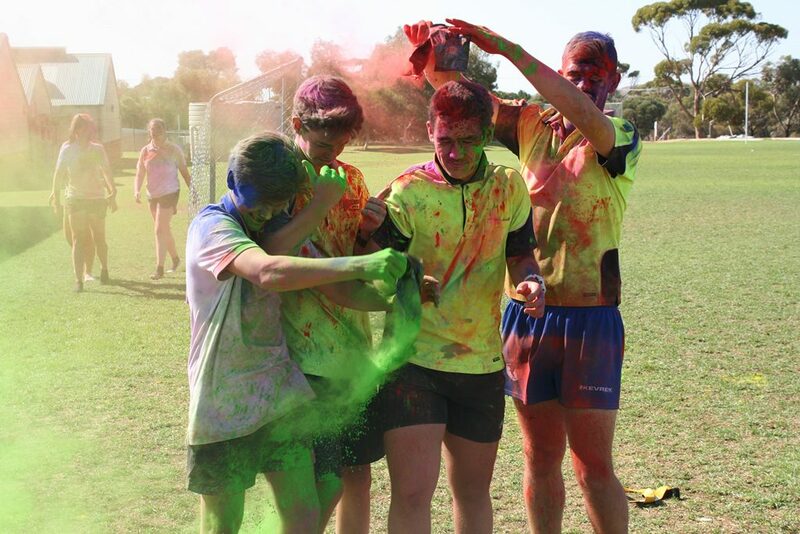 Following this was the Colour Run itself, where students made their way around the oval while being pelted with various coloured dyes at different stations, effectively being turned into human canvasses. 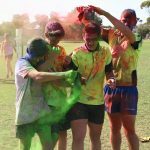 The final part of the afternoon was a free-for-all where students coloured themselves and others (including the teachers!) 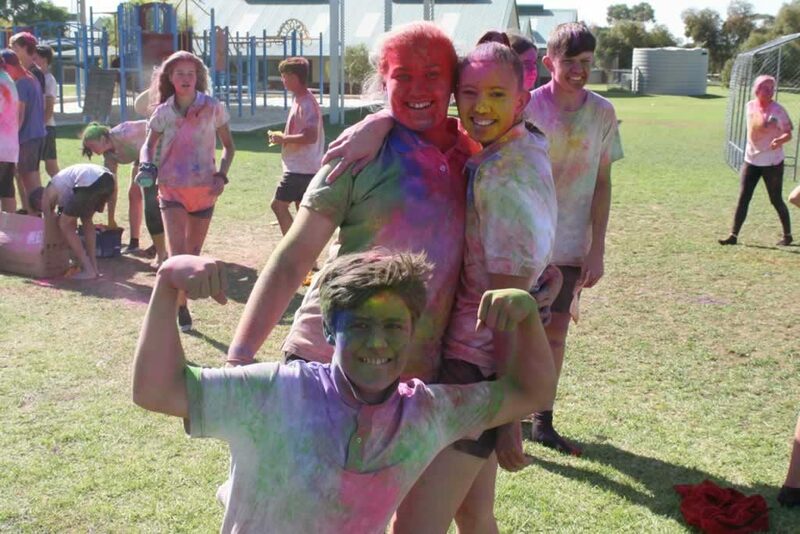 with the leftover powders, complete with photo opportunities for all. 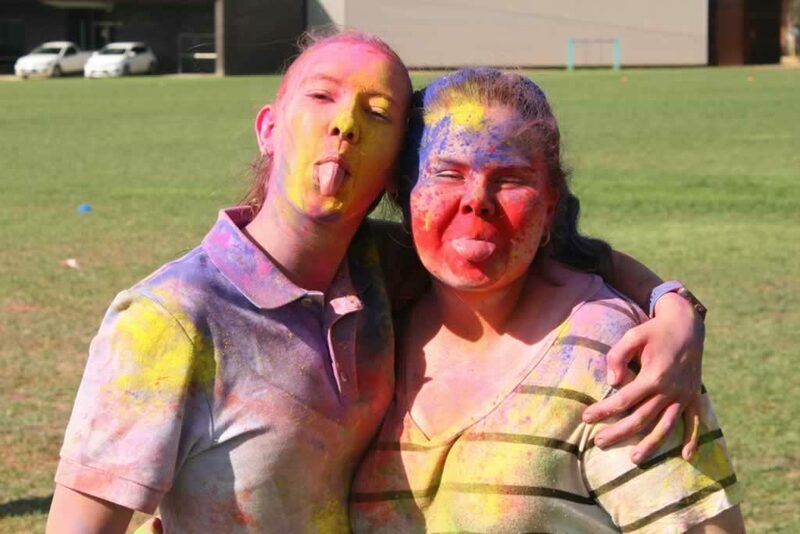 All in all, the event was a great success with many smiling faces. 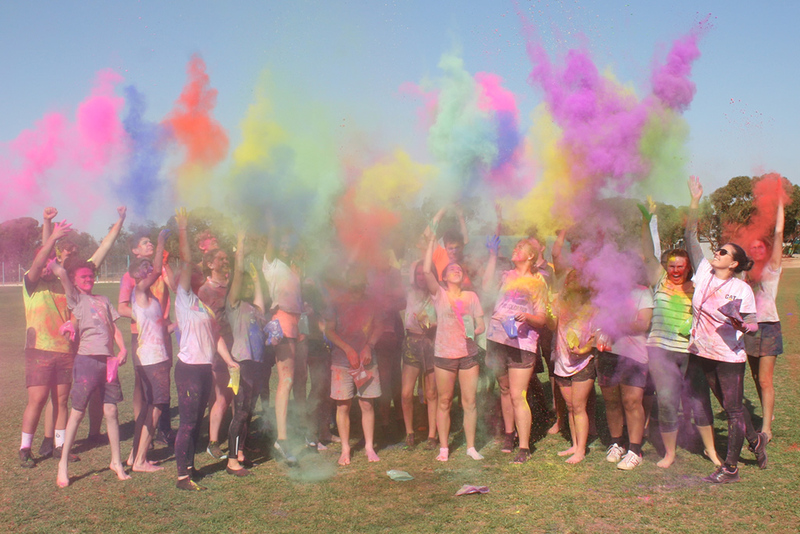 There is little doubt that the Year 10’s will be looking forward to their next reward event!